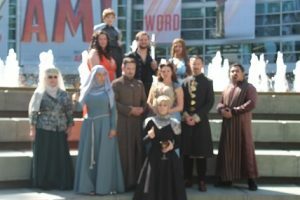 I recently attended my sixth straight WonderCon (but first one as part of The Geekiary). 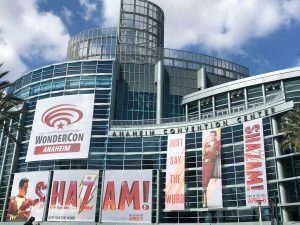 Now that I’ve had time to relax for a few days, it’s time for a WonderCon 2019 recap of 3 days of sights and sounds. The convention is San Diego Comic-Con’s little sister, once again took place at the Anaheim Convention Center, and was the sixth convention I attended this year (2 weeks after Emerald City Comic Con, which is one of my favorite shows of the year). WonderCon ranks high on my list of conventions I attend every year due to the fact that unlike San Diego Comic-Con, it’s not as crowded (for the most part) and feels like SDCC in the early part of the 21st Century. Some of my personal highlights for the show included being invited to both the Agents of S.H.I.E.L.D. and Fear The Walking Dead press rooms/roundtables, where I got to talk to the stars and producers of both those hit shows about what we can expect for their new seasons. 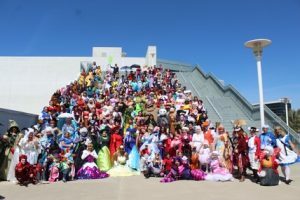 Aside from the roundtables, some of my other highlights include seeing the terrific cosplay meetups, including the massive Disney one on Sunday, and the Game of Thrones one (which included 3 large dragon cosplays!!!) on Saturday. 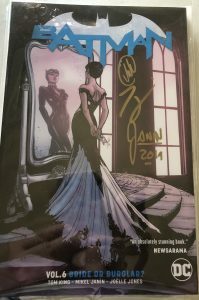 I also was lucky enough to win the drawing to get items signed by Tom King and Mikel Janin at the show, and one of the staff in the DC booth said Mikel rarely makes appearances in the US due to being from Spain. After getting them to sign it, I went to Joëlle Jones‘ table to complete the trifecta of signatures on the book. 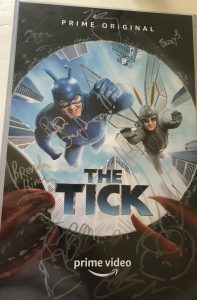 I also enjoyed seeing some of my comic con friends who I normally only see once a year, in an environment that is a lot less hectic when compared to SDCC, one of whom won the drawing for the signed poster from The Tick cast and executives, and then gave it to me since they had an extra. 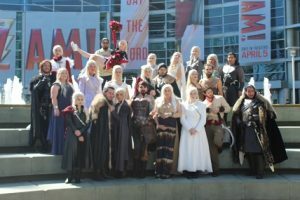 I can’t wait to go back next year, when the show once again takes place at the Anaheim Convention Center from April 10-12, 2020. 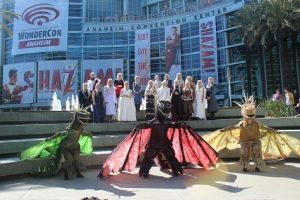 What were your favorite part(s) of the convention? Feel free to leave comments below! Previous:Killing Eve 2×1 Review: Do You Know How to Dispose of a Body?